Isabont – The Lazy Way to Job Search? Isabont is a website that aims to “plan your career. manage your job search.” An easy claim to make but the video demos on the Isabont homepage do make the tool quite appealing. Simon Clay Michael, Isabont's founder, was kind enough to offer a Premium account so that I could test out the site for you in all its glory. This is the JobMob review. Isabont's green and brown earth tones make it very cozy for surfing and easy on the eyes. Clearly professionally designed, the website interface stays consistent throughout your work and is always uncluttered while simple to grasp. A rare site almost completely devoid of any images, the pages load very quickly as a result. Although not enough to spoil these comforts, there are some awkward little details like the the video tutorials not having any controls to pause/play/rewind. Isabont has a very practical Dashboard to give you an at-a-glance overview of your job search's resumes, contacts, leads, positions (leads you're targetting), events and to-dos. It has been designed with usability in mind to let you do the most common activities directly from the Dashboard itself without having to go hunting through the site. The narrated video demo clips cover many of the site's features and give the impression that Isabont is very simple to use. And it is. Even without the videos, using the site for only 10 minutes will convince you that no questions need to be asked because you already have all the answers. A lot of thought has gone into making the interface easy and time-saving. Two features that are used well throughout are the in-place editing and previews, which allow you to make small changes to part of a document (e.g. a resume) and immediately see the results without having to surf to a different part of the site. You will only be required to type in any information once whether it's contact information, part of a resume, whatever. From then on, forms are pre-filled as much as possible. This works a little too well, as when Isabont assumes that any contacts you add for a company are employees of that same company, but it works wonders when building new documents by recycling pieces of existing documents. To illustrate- Isabont allows you to upload resumes or create your own using templates. If you target your resumes for different job openings, over time you'll have a growing list of resumes to maintain. Isabont keeps this tidy, letting you create each new resume by customizing the parts that you want and pulling in the unchanged remainder from other resumes in your list. Isabont can “manage your job search” by taking your tangling mass of information and linking bits of it together in a convenient way. When you send a resume to a recruiter, you can link the document to that recruiter's contact information (assuming you've already put it in Isabont). Then, when you add a follow-up item to your To Do list, you can link the follow-up To Do to that same recruiter for easy reference. There are other ways of linking items too. I like that you can set dated email and sms reminders for most activities in Isabont such as events or diary notes but strangely enough, not for To Do items. Another annoying twist is that the reminders work well only if you're in the same timezone as the sending date you specify. Which timezone is that? Good question. You can specify your preferred timezone in the My Account area but the choices are limited to continental US timezones and I couldn't find a clock anywhere to tell me what time the site thinks it is. Unless you're in one of those US timezones, you won't use reminders. Isabont was designed for job seekers in the United States seeking jobs in the United States, as I discovered while testing it. The signs are everywhere. The timezones mentioned above. Address forms missing Country names and only containing State and ZIP codes (although you can fill in an e.g. Canadian or UK postal code without any issues). The cellphone carrier options are limited to the U.S. mobile networks such as Verizon and Cingular. Hebrew text does appear legibly with no encoding issues so Israeli Isabont users will never see the masses of question marks or accented characters that appear in forwarded Hebrew Yahoo! Mail and other places. However since Isabont expects English, any Hebrew text will always be left-justified. Doh! This lack of international consideration is really a shame and is by far and away Isabont's biggest failing. According to the official website, “Isabont is all about providing you, the individual job seeker, with an inter-connected set of tools to help organize your current job search.” If you're a US-based job seeker, Isabont fulfills this goal. The job hunting basics are covered with the ability to generate cover letters and resumes, keep track of their recipients and corresponding openings, all while managing communication through the recruitment process up until you sign a contract and get that next job. True to the quote, the tools are inter-connected but not as much as they could be. For example, you can't link a document with an event. Also, most links are one-way like when you click on a Contact's name in the Position view; the destination Contact page has no link to the Position(s) linking to them. Finally, you're always limited to only one link between items such as a To Do and a Contact. Why not let us link as often as we want? An innovative concept is the possibility of importing job listings from RSS feeds. Major U.S. job boards already make their listings available via RSS and as other jobsites follow, this feature will become more and more useful. While testing with Israemploy's Hot Jobs feed (already part of the Ultimate RSS Feed Collection for Israeli job seekers), I noticed an interesting hiccup. Israemploy's job listings have no mention of company names, but Isabont requires that you provide one per job lead. I ended up using ‘I don't know', which subsequently became my most selected company name… Another reason to rethink this company name requirement- I found my first job at Amazon in Paris through a headhunter and it was only at my 2nd interview that I discovered who I was interviewing for. Considering the number of active recruiters and headhunters in the market today, I'm sure that many people will run into the same problem. Link between anything, as often as desired. Import information directly from handheld devices. Export in any format that I can import from. Use Hebrew or French or Mandarin, sitting in New York, Karachi or Johannesburg. I enjoyed playing with Isabont and I could easily see myself using it in a future job search once they've overcome the internationalization handicap. On the other hand, you should definitely try Isabont if you're a US-based job seeker. 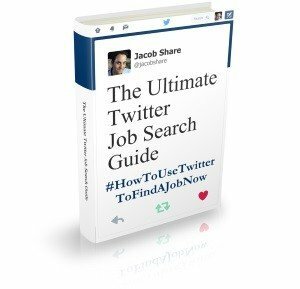 The free version is quite complete and the ease of use will save you time and help reduce your job search stress. Enjoy this review? 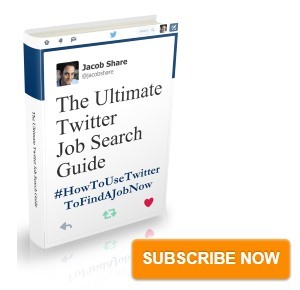 Subscribe to JobMob via RSS or email to learn about more tools for your job search. Yes. How do I find the Isabont website? None of your links seem to find it! Lazy is OK, as long as it works.